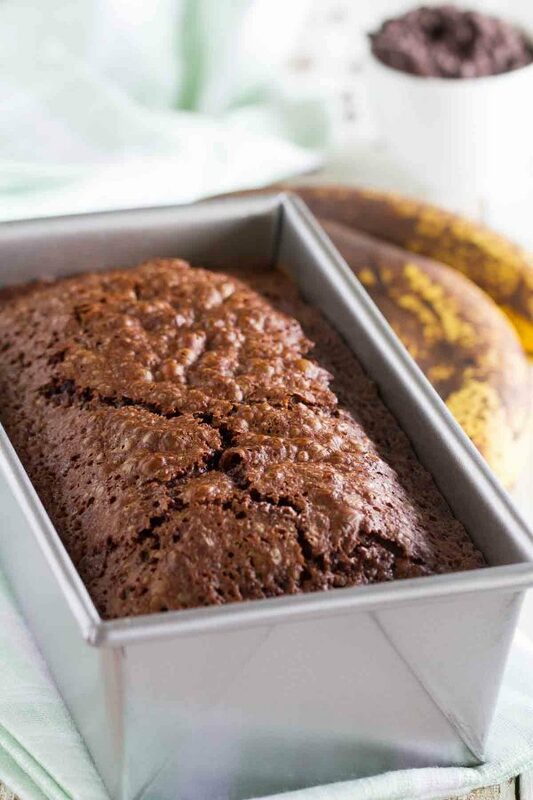 What do you get when you combine brownies and banana bread? 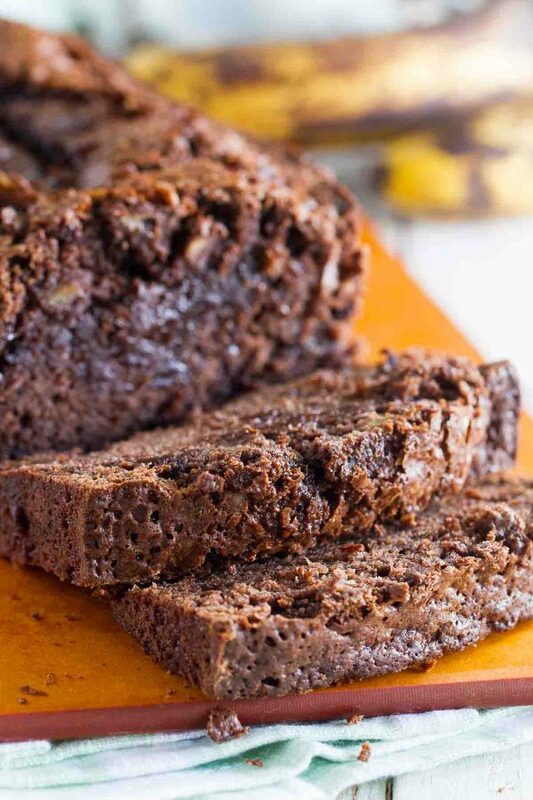 This delectable Brownie Mix Banana Bread! Rich and chocolatey with the moistness of banana bread, you won’t be able to stop at one slice! I’m on a bit of a chocolate kick lately. But I’m sure none of you will complain about that, right? Especially going into the holiday baking season. Because you get free reign to eat all the chocolate you want for the last 3 to 4 months of the year. 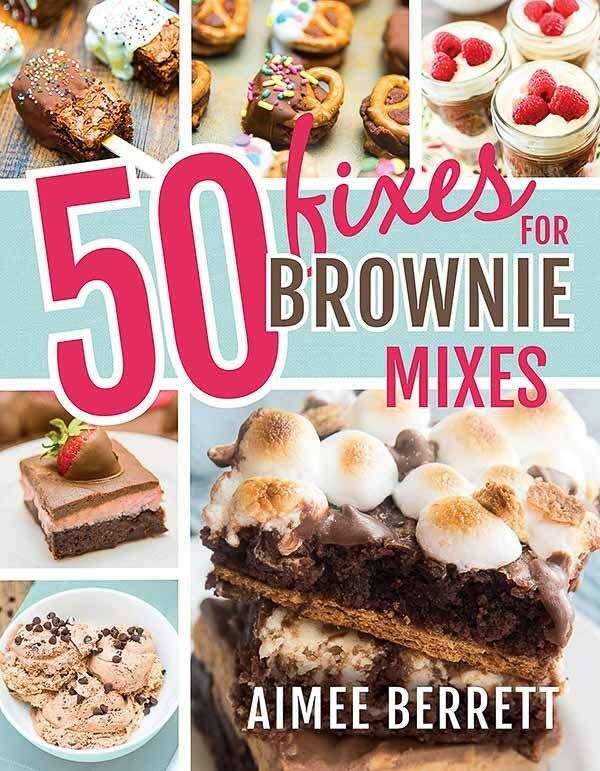 That is why I’m super excited about today’s cookbook review – 50 Fixes for Brownie Mixes from Aimee Berrett of Like Mother, Like Daughter. She takes the brownie mix to a new level with this book – and you’ll want to make every single recipe! 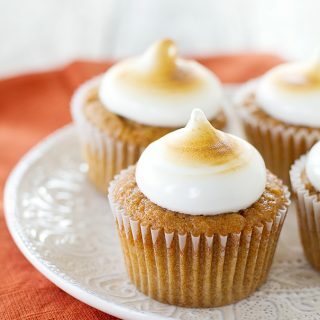 There are ways to dress up brownies, brownie mix desserts, ways to turn brownies into cookies and cinnamon rolls and even pancakes. It’s amazing how so many things can come from one simple brownie mix. Number of Photos: Lots! There is a photo of every recipe in the book. Difficulty of Recipes: easy to medium. 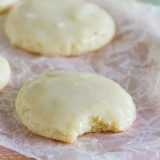 I always have to at least give baking books a medium score here because there is baking involved, but really, these recipes are super simple. Using a brownie mix totally simplifies things, so I think this would actually be a really great book for a beginning baker! Availability of Ingredients: easy. Stock up on brownie mixes and then you’ll probably be able to whip many of these recipes up from pantry staples!! Buy 50 Fixes for Brownie Mixes on Amazon. While flipping through this book, I couldn’t decide if I wanted to make one of the dressed up brownie recipes, or to do something that you don’t normally think of using brownie mix for. I was so tempted to make the Brownie Batter Muddy Buddies, but then I flipped to this Brownie Mix Banana Bread. I don’t actually make banana bread a lot, especially since I’ve been saving all of our overripe bananas to throw in the freezer for smoothies lately. But I looked and had a few ripe bananas on hand, and I felt like it was fate for me to make this bread. I honestly thought that this Brownie Mix Banana Bread would just taste like chocolate banana bread. Which I would have loved. But even better – it is totally like brownies and banana bread got together and had a baby. 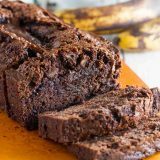 You still get that rich, fudgy-ness that we all love in brownies, combined with the moist texture from the banana bread. It was honestly the perfect combination. I do have to mention that I just used 2 bananas without measuring out how much was actually there. When I had them in the bowl, I knew it was more than 1 cup of mashed bananas, but I figured I would be ok and everything would even out. Well, it does still turn out beautiful and delicious, but it took a lot longer than the 1 hour to bake. So I would suggest measuring out the banana to make sure you are using the correct amount, and to also check the bread with a toothpick to make sure it is finished baking. 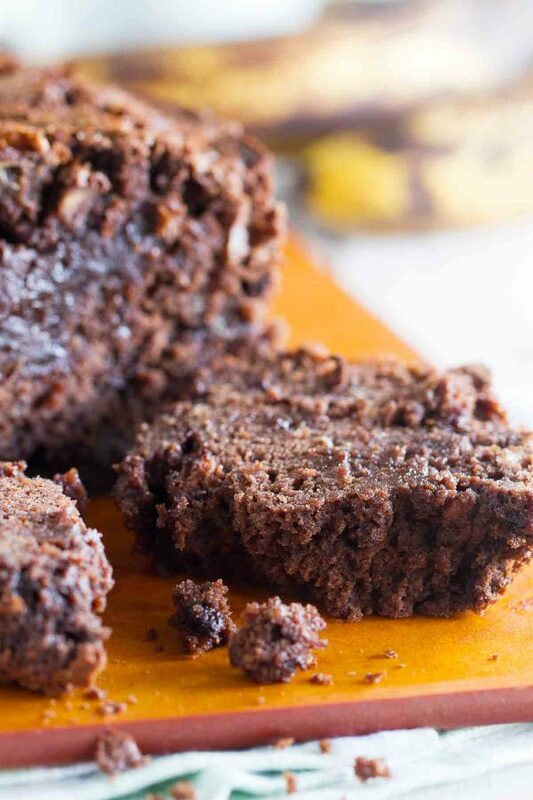 Now you need to try this Brownie Mix Banana Bread. Especially if you are a chocolate lover! Preheat the oven to 350ºF. 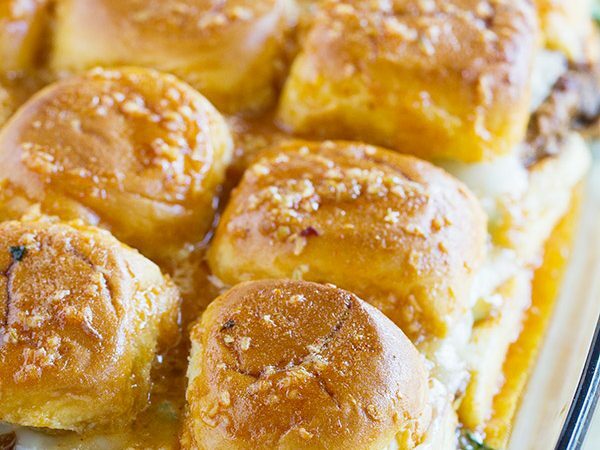 Grease a 9×5-inch loaf pan. In a large bowl, combine the mashed bananas, oil and eggs. Add the brownie mix and stir until just combined. In a small bowl, toss the chocolate chips in the flour. Fold the chocolate chips into the batter. Pour the batter into the prepared loaf pan. Bake for 50-60 minutes, or until a tester inserted in the center comes out clean*. Let the bread sit in the pan for 15 minutes, then run a sharp knife around the edges and invert to remove the bread. Cool the bread completely on a cooling rack before slicing. *I used 2 large bananas and did not measure them. I’m sure that I had more than 1 cup of mashed bananas. The recipe still worked very well, but took an additional 20 minutes to bake. 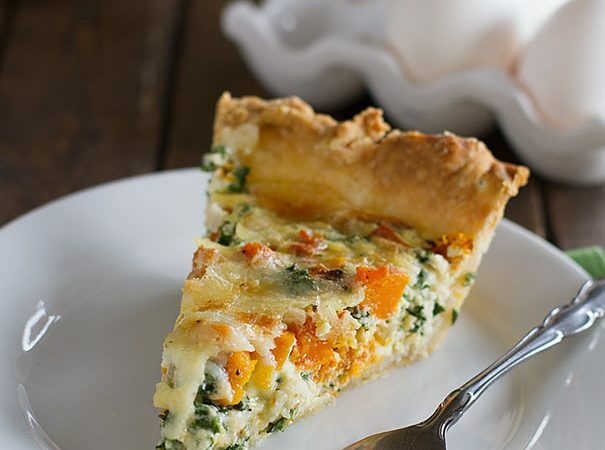 Wow – this does sound easy and delicious. 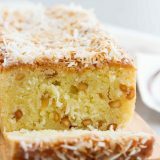 I need to get a few overripe bananas and bingo, this will be going to work with me as a little Happy Monday treat. Yum-o! I am all in for this idea! This bread looks amazing! 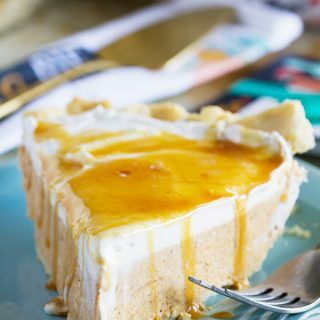 I wish I had a slice right now! Wait, why have I never thought to try this!? Such a simple and genius banana bread hack! Cannot wait to make this! Oh my! I’ll be dreaming of this all day! 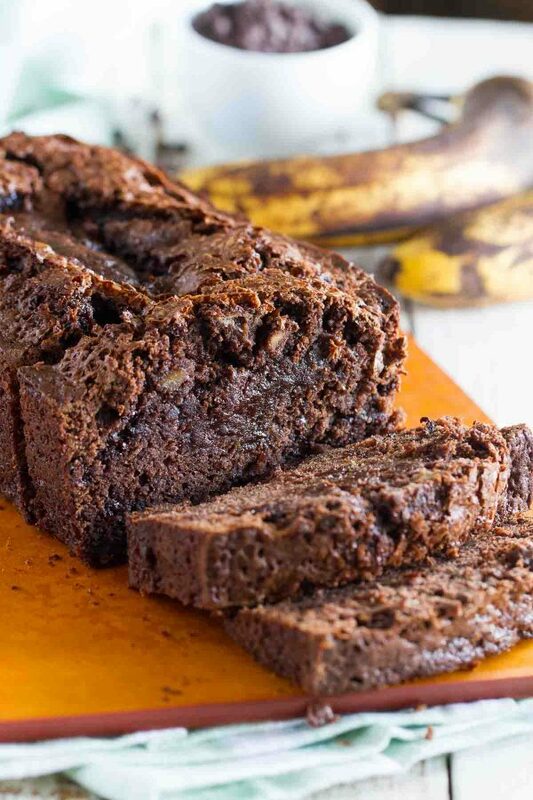 Your brownie banana bread looks perfect Deborah! 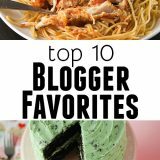 Thank you so much for helping me with promoting my new cookbook! What does tossing the choc chips in flour do? It helps the chocolate chips to stay suspended in the bread instead of sinking to the bottom of the pan. 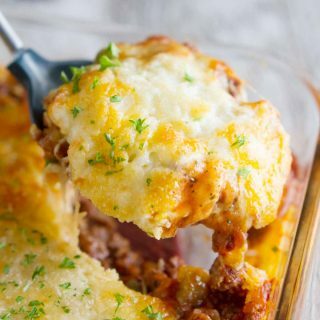 Pretty amazing recipe! Intense chocolate flavor which should cure any chocolate craving you have. Thank you for sharing! I was wondering if you could use an 8X4 loaf pan as I don’t own a larger one. Thanks. I had such high hopes for this. It was just terrible. I love brownies, and I love banana bread….I don’t know why it isn’t delicious to me. I’m so sorry you didn’t like it! Everyone’s tastes are different, so hopefully the next one you try will be a winner for you! Made this last weekend, with a combination of white and semisweet chips, plus pecans. It was amazing and a keeper. Glad I found it!